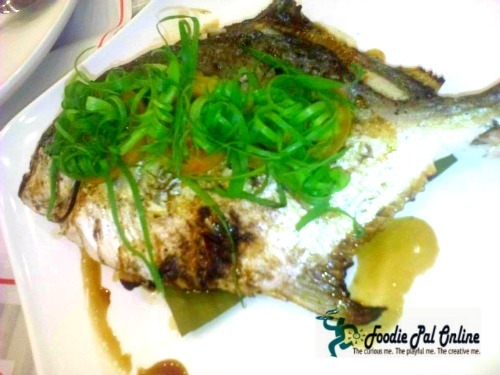 If it’s one thing that brings Filipinos together, it’s our love for good food. Our sense of community and companionship is formed over sharing meals with each other. And if you’re a lover of fresh seafood, you’re in for a treat. The only restaurant that uses fresh shrimp harvested in Cebu from the largest shrimp farm in the Philippines, Choobi Choobi brings a fresh and unique seafood dining experience to you. Imagine a fresh catch of seafood served to you in exciting, flavorful ways. 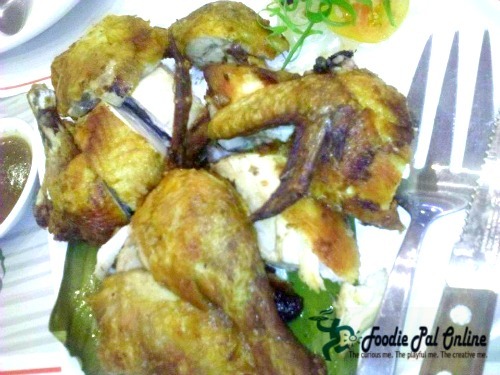 There’s no need to catch a flight to Cebu to experience this because their leading restaurant is now in Manila. Choobi Choobi owner Stan Tanchan’s dream is to provide Filipinos with export-quality shrimp at local prices. He has had his shrimp farm for over 20 years, but it was only later on that Choobi Choobi was born. He first began by exporting his shrimp. Stan’s passion for food combined with his dream translated into cooking—creating all the recipes himself. Choobi Choobi was born out of his love for food and sharing it with great company. Though shrimp is Choobi Choobi’s specialty, their menu boasts of Filipino comfort food that’ll have you saying, “lami kaayo!” even if you’re not Cebuano. 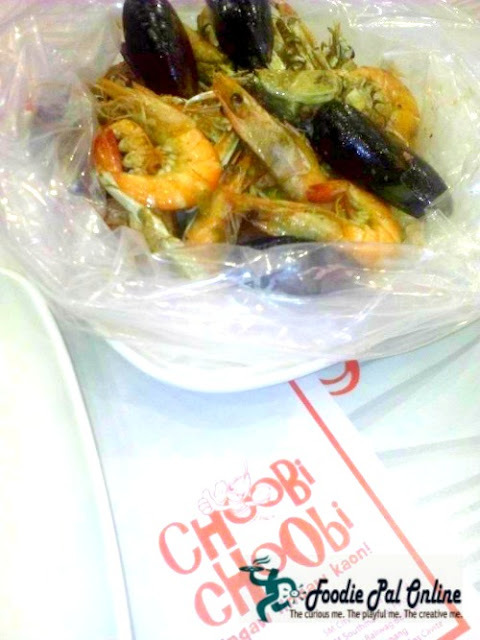 If it’s your first time at Choobi Choobi, you must try their Shrimp in a Bag. It is as the name suggests: a pound of shrimps served in a bag, but cooked in a variety of ways and oozes with their savory butter garlic sauce. You will want to pair it with their Cha Tao Miao—stir fried snow pea sprouts; crunchy and tasty, it’s the perfect side dish! If you want your shrimp a little bit different, why not try their other signature dish, Stan’s Black Pepper Shrimp? A pound of shrimp cooked in Stan’s special black pepper sauce. It’s another crunchy treat that will leave your taste buds happy with its abundance in flavor. 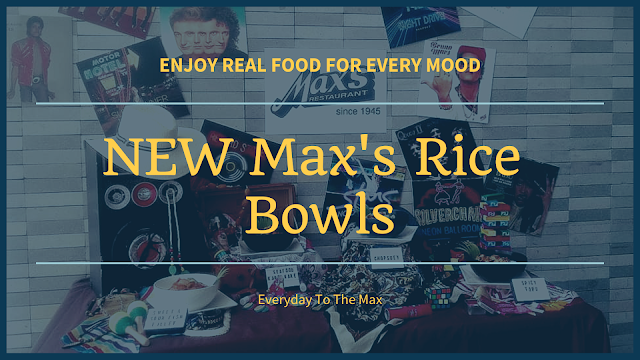 Their other signature dishes include Lola Pepang’s Chicken—a hearty family fried chicken recipe passed down four generations; Chilean Mussels—a fresh bag of Chilean Mussels with cooked in the flavor of your choice; and Stuffed Grilled Squid—mouth-watering squid stuffed with black rice. You’ll want to pair these tasty delights with their fresh selection of signature refreshments: Fresh Pineapple Organic Wheatgrass, Fresh Pineapple Organic Kale, Lychee Organic Kale shake. Doesn’t that make you want to stop whatever you’re doing and call your friends to eat? 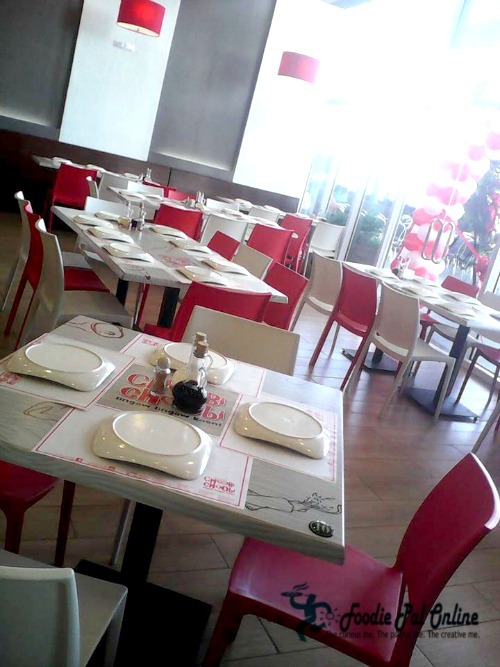 Choobi Choobi’s tagline “lingaw lingaw kaon” stands for just that: enjoy a fresh and unique dining experience with great company. 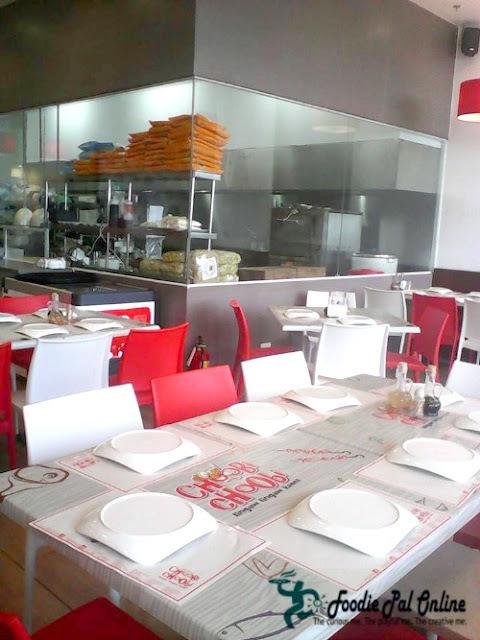 It is an invitation to come together and eat well as community is at the heart of any Choobi Choobi meal. They believe in giving their customers—or Choobi friends as they call them—with a fresh and unique food experience. These two qualities are the pulse of their brand, which their new endorser is the epitome of. She shares many qualities that are in tandem with Choobi Choobi’s. Aside from being a hard-working, yet humble lead in Be My Lady, she has a refreshing and vibrant personality. Like Choobi Choobi, she values her faith and is proud to be Filipino—a great fit for a restaurant that focuses on preparing delicious, quality Filipino comfort food. 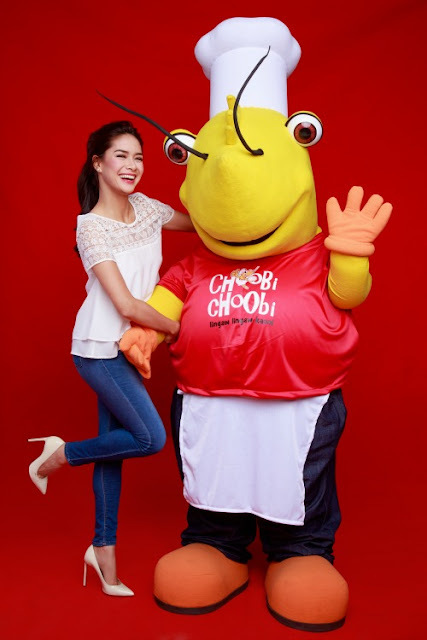 Choobi Choobi’s new face is none other than Erich Gonzales. 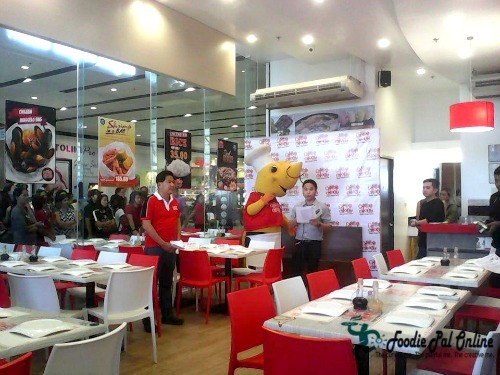 Choobi Choobi has definitely gone a long way from their first branch at Parkmall Cebu. 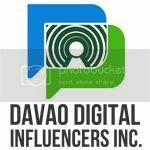 Their flagship store in Metro Manila is located in Panay Avenue, Quezon City and they’ll be opening two new branches at SM City Manila and SM Southmall. Expect friend gatherings this summer at the following stores: Limketkai in Cagayan de Oro, SM City Davao, SM City Bacolod, SM City Iloilo, and SM Seaside Cebu. So what are you waiting for? Call your friends, call your family and come together for a fresh and unique experience at Choobi Choobi! You can find Choobi Choobi in any of the following areas: Capitol, Mabolo, Mactan Newton, SM NRA, SM Seaside, SM Manila, Panay Avenue Quezon City, SM Ilo-ilo, SM Bacolod, SM Lanang Premiere-Davao, Limketkai CDO and Centrio Ayala Mall. 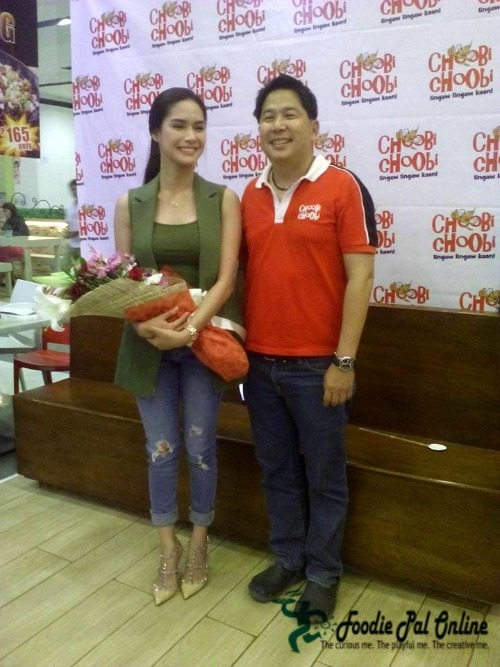 Last Friday, March 18, a Dabawenya Star Magic Artist and Be My Lady lead star Erich Gonzales grace the Official Grand Opening of Choobi Choobi here in Davao. It was hosted by KAPAMILYA, WINNER KA! game show host Rovic Ire Cuasito and event was handled by PREP - PR, Events & Promotions lead by Karla Singson. 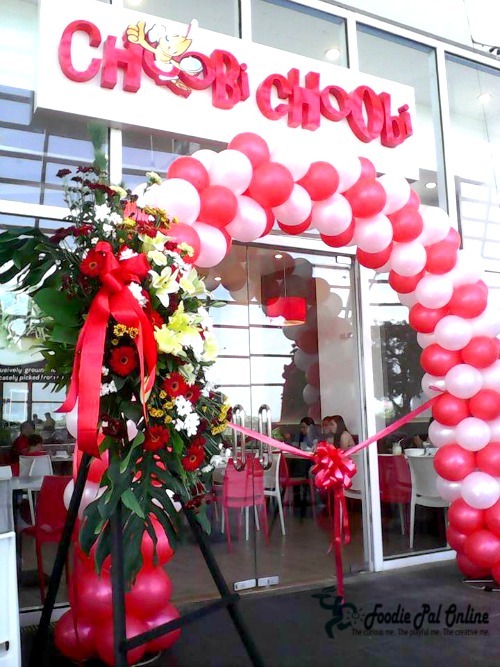 The opening start with a ribbon cutting, formal dedication and press conference held at Choobi Choobi first Davao branch located at the 2nd floor of SM Lanang Premier near the fountain court. The perfect fish for grilling. 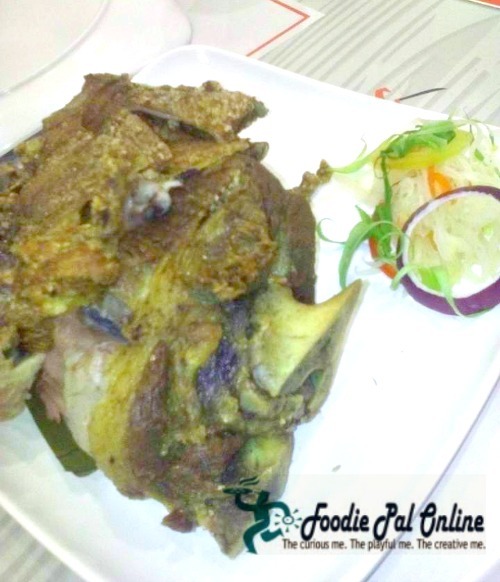 Crispy Pata that is crispy on the outside but soft and juicy in the inside. Try this you will love it! Guaranteed! One whole chicken. A family recipe passed on for four generations. Now I'm hungry. XD It's near to our place so I'll probably eat there when I get to SM Lanang. I'll be sure to save up some money to afford the food they serve there. I like that development that they are opening a new branch in SM City Manila. I think I want to give this restaurant a chance especially because I like fresh shrimp. I would love to come, but it will be hard since I live in Norway!! Hmm.. Yum! I love shrimps and of course as a "bisaya" I am really into these dishes. I hope they will open a branch here in Metro Manila. I would love to try Choobi Choobi. This is the first time I've heard of Choobi Choobi! I hope they open one in the Quezon City area so I can try them! Thanks for sharing their menu, everything looks good and my family will love this because we're a sucker for SEAFOOD! Oooohhh! That Barkada Bag looks super yummy! The price isn't too bad considering the fresh seafood. Yeah! Also try their signature dish, Stan’s Black Pepper Shrimp. Yay! 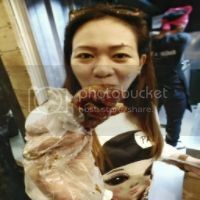 Anonther seemingly fun restaurant to try! 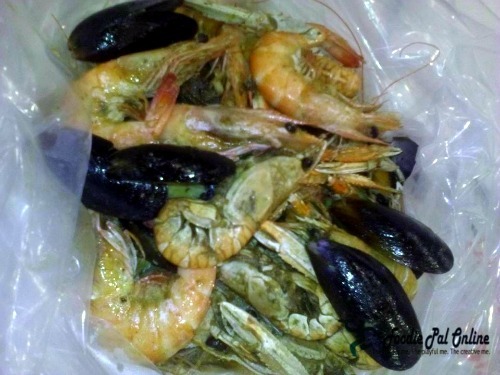 I love seafoods, all of them, specially shrimps. So I'd definitely try that Shrimp in a bag if I get the chance. Food menu is looking quite with range of dishes they have there and would love to try it out. Looks pretty interesting and the mascot looks cool. However I'm a veggie, so not for me!! It's nice to know that they have branches too in Manila. I would love to try out their shrimps. The food here looks really tempting. I'm a big fan of food but have never had Filipino food before. Now if I'm ever in that part of the world I want to eat here. Cute name of the restaurant! The event looks so much fun. Food must be great too. Ooh I ate at a similar resto concept in Quezon City naman. I love shrimp but I have allergies! So when we ate there, I had to take a Benadryl after I wolfed down a bag of buttered garlic shrimp. Haha! I'm DROOLING!! I looooove seafood. The Seafood Barkada Bag looks like something I'd try. Stan’s Black Pepper Shrimp is their signature dish. Soon I will have this make a review about this dish. 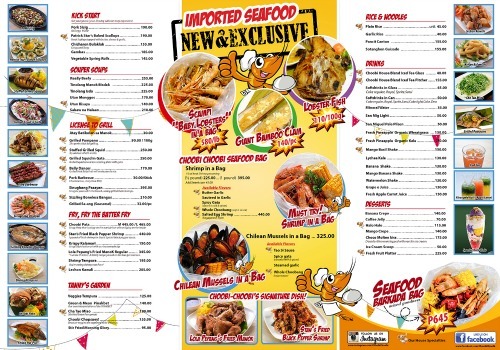 Wow another new seafood place to try out. The brand name is so cool and easy to remember.